The Speedy Spud catches up with Sting Ray Robb at the Grand Prix of Alabama! This week we had a truck-load of fun on tour! Our first stop was the Frisco, Tx where we visited teams competing in the United States Academic Decathlon! We had special photo shoot with the decathlon team from Rexburg, Idaho and even gave the whole team good-luck Big Idaho Potato T-shirts! 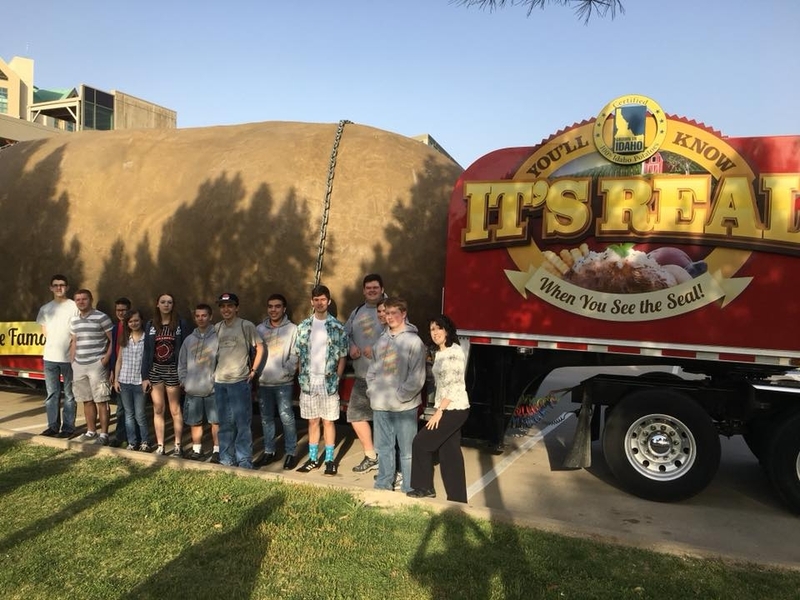 Teams from across America also stopped by to see our massive spud and we quizzed them on potato trivia! A decathlon team from Rexburg, Idaho! After our stop in Frisco, we trucked along to Leeds, Alabama where we joined fellow Idahoan and Pro Mazda driver, Sting Ray Robb, for the Grand Prix of Alabama! We had so much fun supporting Sting Ray and the tater team even joined his family to watch some of his races! We were all so impressed by Sting Ray’s driving skills and how accomplished he is (and he is only 16 years old)! The Tater Team with Sting Ray Robb! 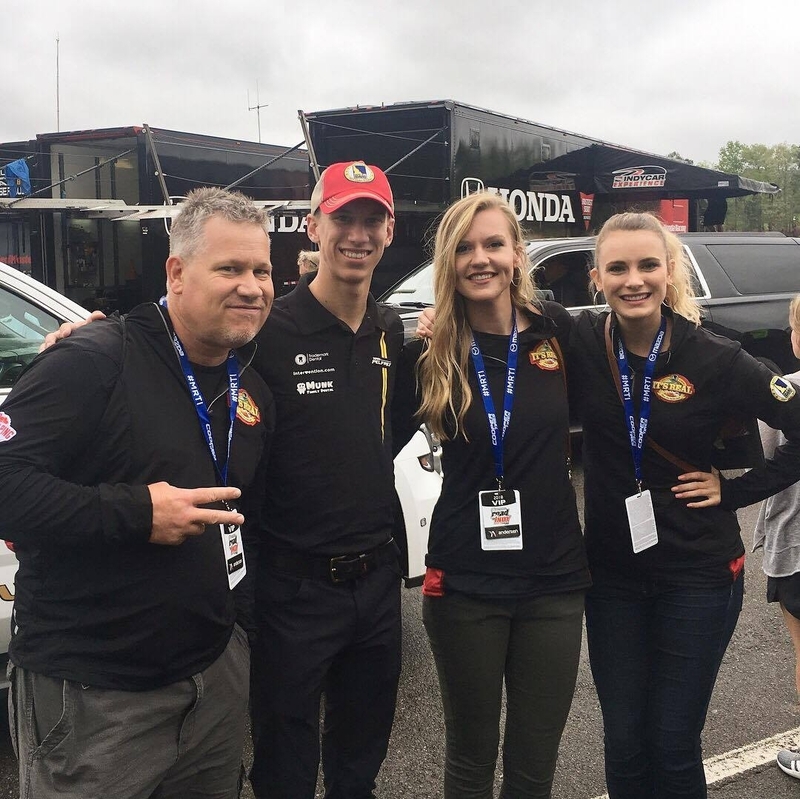 The Tater Team enjoyed their time on the beautiful grounds at the Barber Motor Park track! They even got a special tour at the Barber Motor Park Museum and saw George Barber’s extensive collection of motorcycles from all decades! It was really interesting to see the progression of motorbikes over the years! Sunday was the big race day for the Pro Mazda and Indy cars! The team had the opportunity to go to the VIP stands and watch Sting Ray’s race. Then they went to the garages where the Indy and Pro Mazda cars were being worked on. While they were there they met drivers Gabby Chavez and Jack Harvey! They also saw the Grand Marshall, Channing Tatum, and got a photo of him! In addition, A Big Helping supported two great charities this race! We donated and raised awareness to Ady’s Racing and Kids on Track! Ady’s Racers is a non-profit for children with autism, they are a branch-off of Ady’s Army, a charity that helps parents who need financial and emotional support while caring for a child with autism. Ady’s racing gives children who have autism the opportunity to ride around the track in a race car and just be themselves for a day! The Ady’s booth was right next to the Big Idaho Potato so we were able to meet some of the great volunteers and learn more about their unique charity! In addition, we helped out the Kids on Track non-profit! Kids on Track is dedicated to lifting the spirits children by providing them with unique access to events in the Mazda Road to Indy! The team met a a group of Kids on Track in the Pro Mazda VIP tent and they later came to visit the Big Idaho Potato! 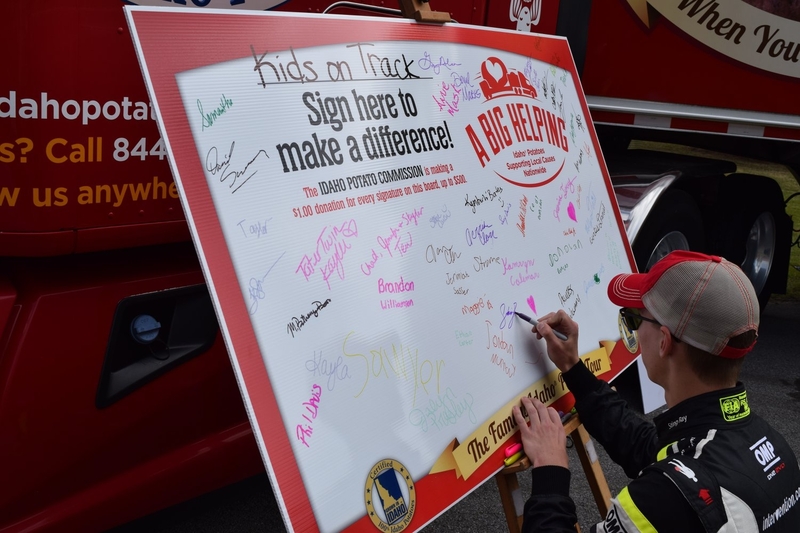 Sting Ray Robb signing our Big Helping Signature Board! Overall, this week was one for the books! It was a pleasure meeting Sting Ray Robb and his family and we can’t wait to see them again when we go to the Pro Mazda Race in Indianopolis in mid May! We’re currently on route to Parsons, Tennessee where will be making a stop at Prater’s Taters a restaurant that serves speciality spuds! Then we are going to the Kentucky Derby where Commissioner Tommy Brown and the Spud Squad from the Idaho Potato Drop will be joining us! Oh and I almost forgot my Grandma Betty will be coming as well! Well, were almost to our next stop! Thank you all for reading, until next time!